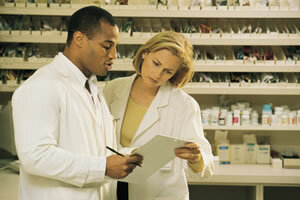 What Makes A Pharmacy Technician Special? Even though the pharmacy technician is not the head of the pharmacy like the pharmacist is, it still requires great skill and knowledge to be able to fill this role. Although these seem like little things that all of us possess, they are really important apart from the knowledge gained during the training to become a Pharmacy Technician. When a patient comes to you and explains to you what problems they are experiencing, you need to be able to listen to what they are saying while they are saying it so that they do not have to repeat themselves and so that when you are focused on what they are saying to you, you can form a clear picture in your mind of what it is they need. A part of active listening involves asking questions as well to clarify and to steer the conversation in the right direction and to not interrupt the patient while they are speaking to you. The reason why you need to know how to listen properly to what the other person is say as well is because wrong diagnosis or a decision made because of the wrong information being carried over can have dire consequences and at the best case will leave you with a very unhappy customer. This skill requires the pharmacy technician to be able to understand what they are reading on work related documents to avoid misunderstandings and tragic misfortunes. Being able to read a patient’s script is also a necessary skill as well as being able to read the inserts of medication to relate dosages and warnings to the customer before they leave with the product that they know nothing about. You should be able to follow written instructions and if you cannot understand or comprehend what it is that you are reading, you could very well make mistakes. There are many laws involved with being a pharmacy technician and being able to comprehend what is written in this legislation will help a great deal in abiding by these laws. Being able to speak is a skill that all humans possess. Being able to speak clearly and knowing how to bring information across in a way that is understood by others is a skill. When giving a patient instructions on how to take their medication it should leave no doubt as to whether the message could have been misunderstood. When a customer comes to the technician with a request that requires the skill of the pharmacist, the technician should be able to convey the information gathered so far from the customer clearly and correctly to the pharmacist so that the customer does not have to repeat themselves as often, this information could be sensitive and personal and saying it to someone once is embarrassing enough. Another skill to have when it comes to communication is the tone of voice that is used when speaking to a customer. Although the pharmacy technician knows a number of things about the medication and their composition, the information brought across to the customer should never sound like they are being looked down upon because they do not know what the medical terms and names mean and the pharmacy technician should be able to explain clearly to the customer what the active ingredients in the medication are and what the effects of those ingredients may be on them. When faced with a problem, the mind tends to scramble for answers. A critical thinker can focus their minds in order to think along clear paths and the answers they lead to in order to, by process of elimination, find the answer that will solve the problem in the best possible way. Being able to take the information given and finding alternatives to the answer that may not be available should be one of the pharmacy technician skills that are the sharpest. When faced with a request for something that is not available or no longer available, the pharmacy technician should be able to think quickly and rationally to get a solution that will suit the customer’s needs. Another side to critical thinking is to be able to approach a problem or a request from different angles to ensure the request or problem is properly understood and that all avenues have been taken into consideration when finding the solution. Serving customers is what pharmacy technicians do. Service is something that should not be taken for granted. The service that you give your customers is what makes them come back to your pharmacy instead of going elsewhere. The best way to ensure great service is to treat your customers like they are individuals with individual needs and emotions that have to be respected and taken care of. Delivery of service is all about actually wanting to help and by having the right attitude towards your customer. You are not doing them a favor by opening your doors to them because they can probably find the products you stock on your shelves at another pharmacy that will treat them with the respect and sensitivity that they deserve even if they have to pay a slightly higher price at the other pharmacy. People tend to go where they feel wanted and not where they are made to feel like they are a burden. Being aware of other people’s reactions and being able to understand why they react this way is called social perceptiveness. This skill goes hand in hand with empathy. You should know where the customer is coming from when asking for something or about something. When a customer comes in and they know what they are looking for, it may not be a good idea to try and convince them otherwise, unless what they are asking for can kill them. Instead of telling them to take something else, you should rather ask them if they have taken the medication before and if they experienced any side-effects from it. If they have never taken the medication before or used it before, but are enquiring about it because of something they heard from a friend, it is your duty to explain the product to them and then ask them what the reason is that they think it will work for them. Being aware of the way others think is very important. Pharmacy Technicians need to know how to apply the mathematical concepts of algebra, arithmetic, geometry, calculus and statistics in their daily work because they are charged with the duty of measuring, counting and mixing medication and they need to be extremely accurate when doing so because the wrong measurement or mixture could lead to an overdose of an ingredient which may cause irreparable damage to the customer. Just being able to count, add and subtract is unfortunately not enough for this line of work and thus mathematics forms an important part of the syllabus. Mathematics can also be used to solve certain problems as well and forms and integral part of the skills and knowledge base of the technician. Being accurate is another one of the important skills a pharmacy technician needs to possess as the wrong measurement or simply gauging instead of using the exact measurement could have very bad consequences. A Pharmacy Technician needs to be very strict on using the proper instruments and knowing which measurements are right for which formulary. In some instances a pharmacy technician will be required to fill capsules and if they get add too much to the capsule it can lead to an overdose of the substance and if they do not fill it enough it may affect the efficacy of the capsules for its intended purpose. The same reasoning is behind mixing up the chemical compound for the making of tablets. Should a customer come with a prescription or a request for a specific drug, the pharmacy technician should be able to weigh up the cost consideration between brand names and generics and when to market which one. 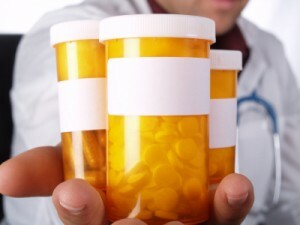 The decision should be based on the benefits of the brand and the generic and if the brand name works more effectively then the pharmacy technician should make a decision based on whether the customer can afford the brand name product or if the generic would be sufficient and more cost effective if not as effective as the brand name product. Weighing up the options and knowing which options to offer the customer where the necessary skill comes into play. Even though the pharmacy technician is not in charge of the pharmacy, it is still important for you to monitor your own actions as well as the actions of other and to do an assessment of where the pharmacy as a whole can do better to improve quality and service that is given to customers. If you feel like you are not doing your best, then you should do an assessment of what it is that you feel you are not doing to your full potential and work out a plan to improve on your shortfall. It is similarly important to raise the point when you feel that your co-workers are not doing something correctly and if they are affecting the quality of the pharmacy negatively so that a plan can be formulated to raise the standard of the entire organisation and what can be done to conform to that standard. Usually when someone comes into a pharmacy it is because they or someone they know has an illness, ailment or disease. A lot of the time these customers would feel embarrassed to talk about their problem and getting the medication for the problem means that they have to explain to you what the problem is. Being sensitive to the information that you are receiving from the customer is really important and you have to careful how you handle the situation. If you see that the person is embarrassed to talk about it in front of everyone and talking in a low voice as not to let anyone, including you, hear what they are saying, it is probably a wise idea to take the person to the side where they will be out of earshot so that they can explain to you what is wrong so that you can solve their problem without letting them feel like the whole world knows their problems now. It is also very important that you do not discuss one customer’s problems in front of other customers even when that person has left the store. It gives a bad impression to the other customers who then won’t trust you with their information. Knowing how to use a computer in this day and age is common knowledge, but there are individuals who are just not meant to use technology and they quiver at the thought of having to switch one on. You do not have to know how to program a computer and how to take it apart and put it back together again to be a pharmacy technician, but a sense of how it works and what to do with the computer is essential. Most orders are rung up on a computerized till and the labels that are printed on the bottles and boxes are done by computers. Being able to type on a computer keyboard is also a great benefit because it will not take you so long to capture a customer’s details if you know how to type and if you know where all the keys on the keyboard are. If you don’t know how to type it would benefit you greatly to go on a typing course to learn this skill.